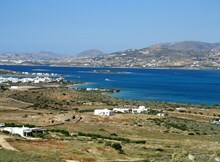 Just across a 1.5km channel from Pounda, on the west coast of Paros, is the small island of Antiparos. 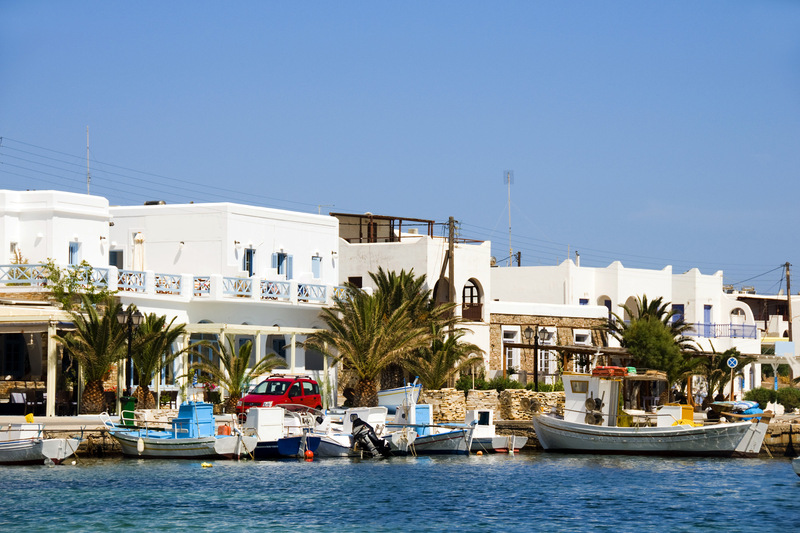 With a population of 1,200, Antiparos has a unique charm for those wishing to get off the beaten track. 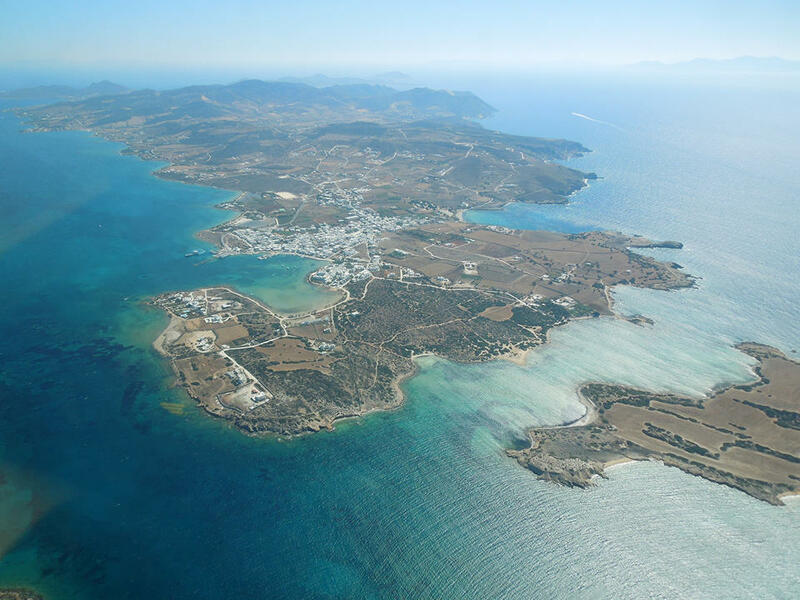 Its main population center is the village of Antiparos, where the ferry from Pounda docks after its 20-minute crossing from Paros. The village is a throwback to a time when there was little or no tourism in the Cyclades, retaining most of its character as an old fishing village, despite some recent development. Just a few hundred meters south of the village is the tamarisk tree-lined Psaraliki Beach, a favorite spot for the locals. There is a Venetian castle in the village, and the St. George resort on the island's southwest coast. 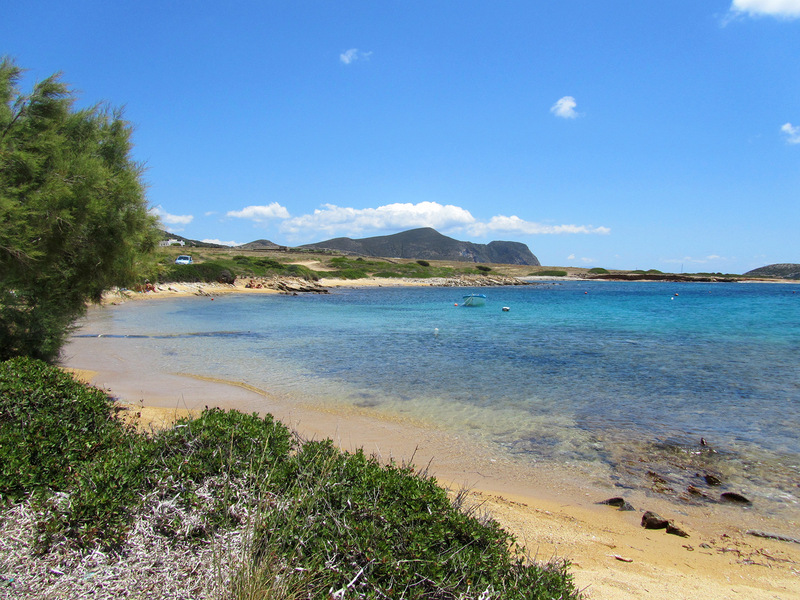 Archeological finds on the island include an ancient cemetery, and finds from the Neolithic area. Excavations at Mandra have uncovered a Doric temple dating from around 500 BC. 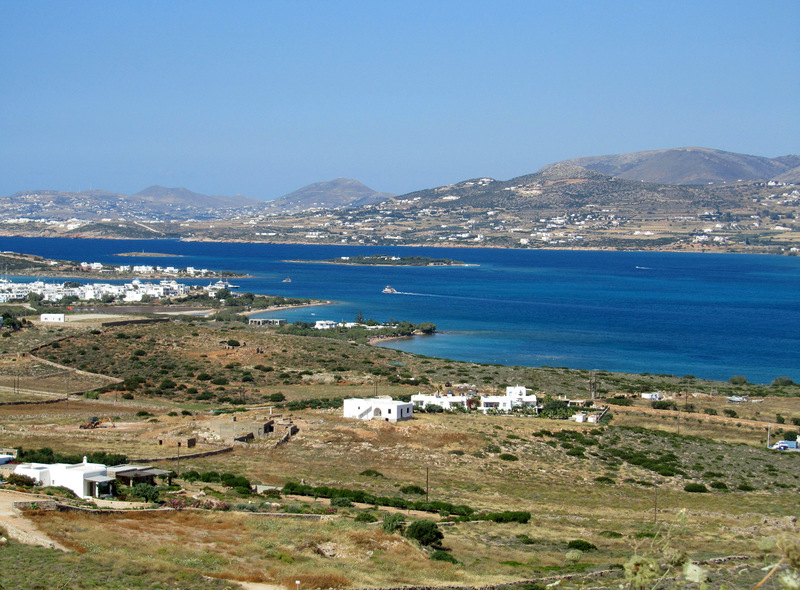 More significant finds were uncovered on the neighboring uninhabited islet of Despotiko, a few hundred meters off the southwest coast of Antiparos. These include Archaic Cycladic sculptures, including a male state, and two Kouros heads, and a marble alter. In addition, several items from the Archaic era have been found, such as ceramic pots, golden and bronze jewellery, scarabs and a clay statuette of a goddess dating from 650 BC. 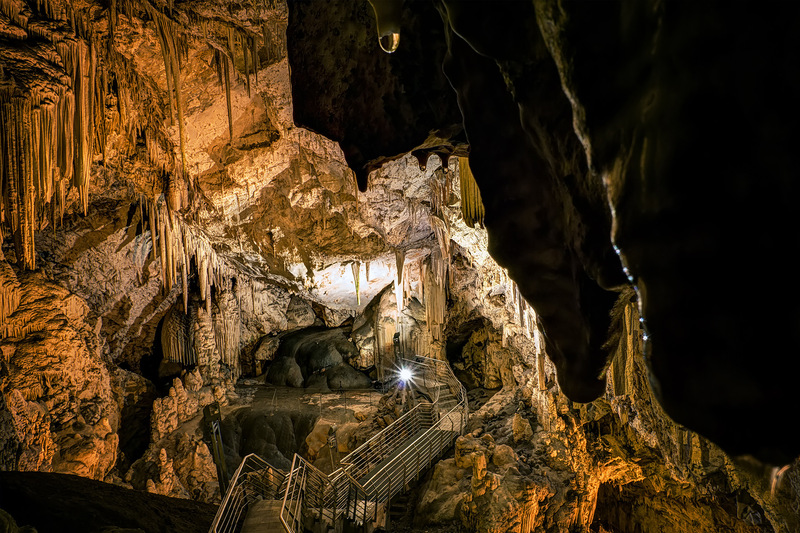 The Cave of Antiparos, on a hill outside Agios Ioannis, is quite large, with several chambers. It has had famous visitors, such as the Parian lyric poet Archilochus, who was said to have left an inscription there, Lord Byron, and Greece's first king, Otto.